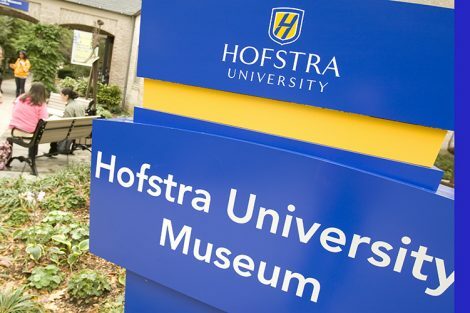 Hofstra University will host free lifesaving CPR training sessions presented by the American Heart Association for all students and employees this Friday, Sept. 15. Cardiac arrest is a leading cause of death in the United States, and survival depends on immediately receiving CPR (cardiopulmonary resuscitation) from someone nearby – every minute lost reduces survival by 10 percent, according to the American Heart Association. Hands-Only CPR has been shown to be as effective as conventional CPR (chest compressions and rescue breaths) for cardiac arrest when it occurs in public. 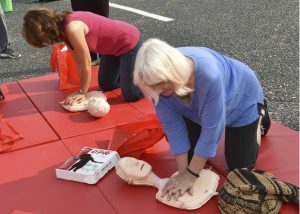 CPR, especially if administered immediately after cardiac arrest, can double or triple a person’s chance of survival. 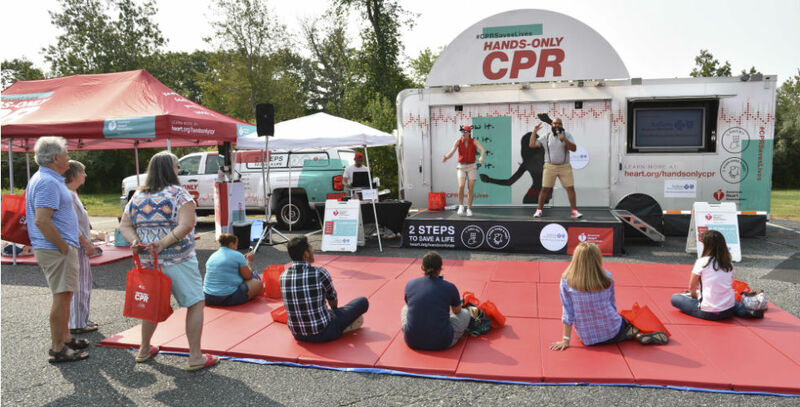 At the Hands Only CPR Mobile Tour, participants will learn how to perform chest compressions to familiar songs that have 100 to 120 beats per minute – the rate you should push on the chest during CPR. No mouth-to-mouth contact is required for this technique. Each interactive session lasts 30 minutes and will run at the top of the hour from 11 a.m. to 3 p.m. in the East Circle parking lot, outside the Student Center, North Campus. (In case of rain, the event will be held in the Student Center Multipurpose Room.) Register to reserve a spot. The first 250 participants will receive a free CPR Anytime Kit that can be used to practice and extend training to family and friends. The tour will also have sessions on how to use AEDs (automated external defibrillators), lifesaving portable devices that restore normal heart rhythm during cardiac arrest and require no medical background to use. 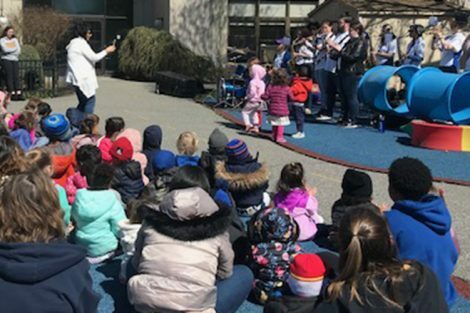 Part of a nationwide effort, the Hands Only CPR Mobile Tour stop at Hofstra is supported by an educational grant by Empire BlueCross BlueShield Foundation. 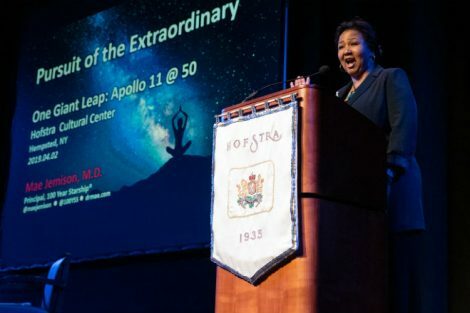 For more information, contact Elizabeth Lorentzen, training and development coordinator, Hofstra Department of Human Resources, at Elizabeth.Lorentzen@hofstra.edu.